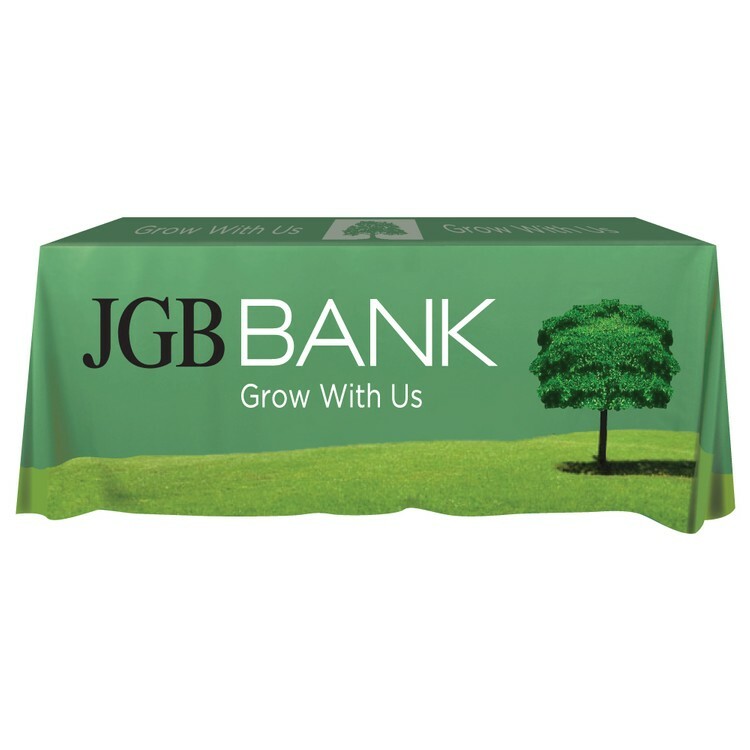 DESCRIPTION 6' Flat, 3 Sided table cover is USA printed and sewn. Water based eco-friendly inks. Logo and color embedded into fabric (NOT a surface transfer). FREE clear plastic zippered storage bag included. 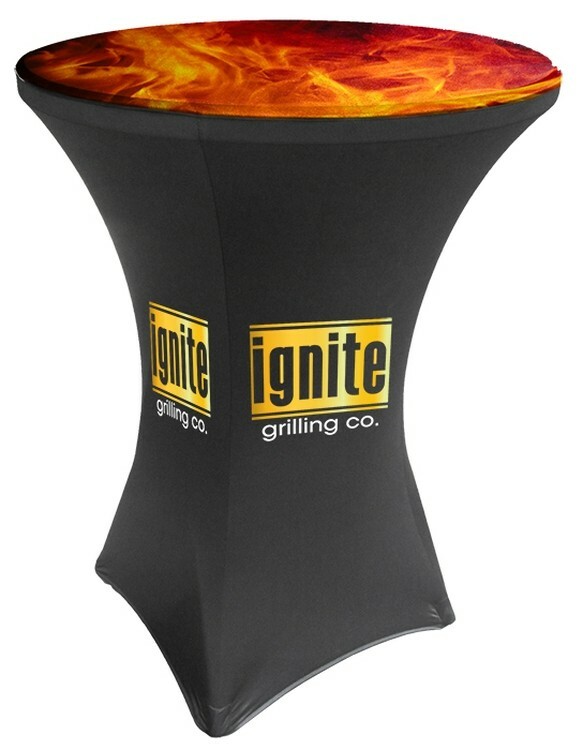 Designed for products: Table Covers, Table Throws, Table Cloths, Table Skirts & Table Banners. CONSTRUCTION 100% Polyester poplin PRODUCTION 1-6 pcs. 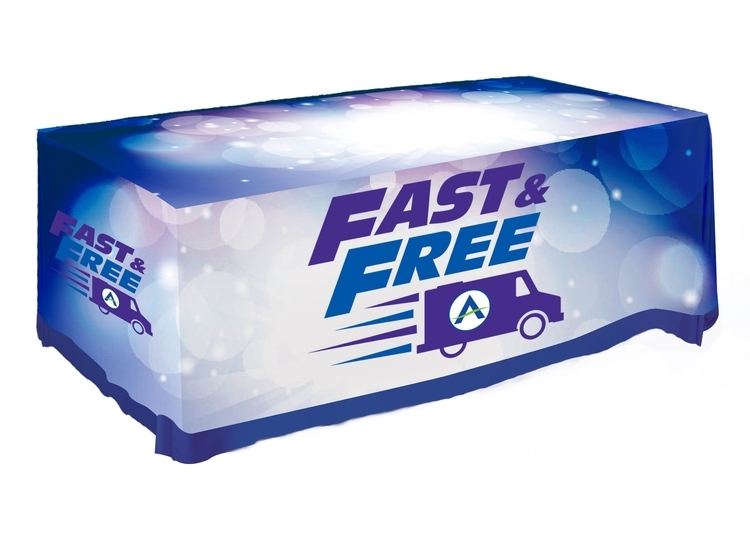 48 hours, no eproof process IMPRINT AREA Full bleed panel - 30” x 72” or Standard - 24” x 50” Templates available on websiteIMPRINT METHODDye Sublimation Full color true subsurface print process onto white fabric. STOCK COLORS Red, Royal, Hunter, Burgundy, Navy, Black, White EASY CARE, wash, dry clean, wrinkle resistant. 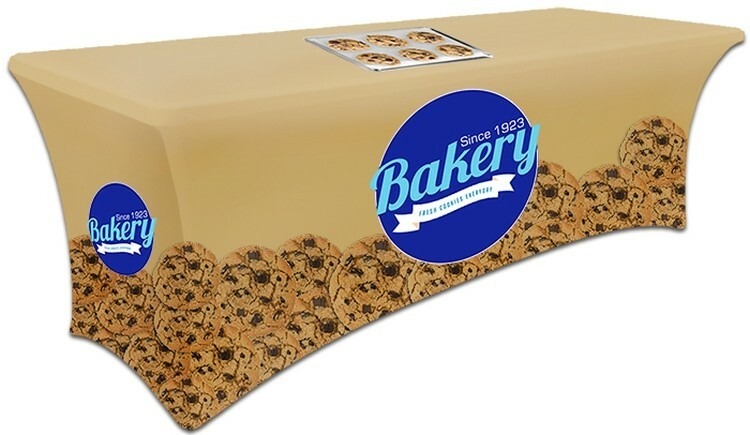 DESCRIPTION 8' Flat, 4 Sided table cover is USA printed and sewn. Water based eco-friendly inks. Logo and color embedded into fabric (NOT a surface transfer). FREE clear plastic zippered storage bag included. 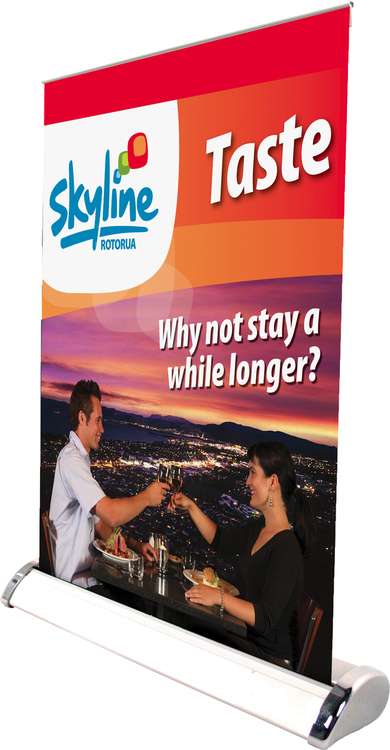 Designed for products: Table Covers, Table Throws, Table Cloths, Table Skirts & Table Banners. CONSTRUCTION 100% Polyester poplin PRODUCTION 1-6 pcs. 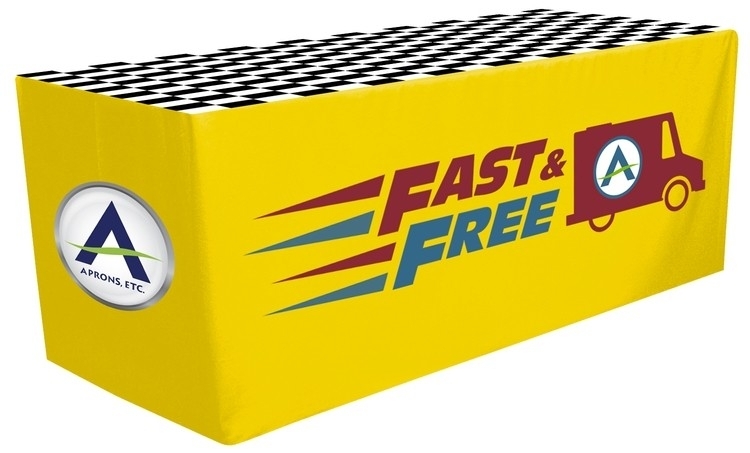 48 hours, no eproof process IMPRINT AREA Full bleed panel - 30” x 96” or Standard - 24” x 72” Templates available on websiteIMPRINT METHODDye Sublimation Full color true subsurface print process onto white fabric. STOCK COLORS Red, Royal, Hunter, Burgundy, Navy, Black, White EASY CARE, wash, dry clean, wrinkle resistant. 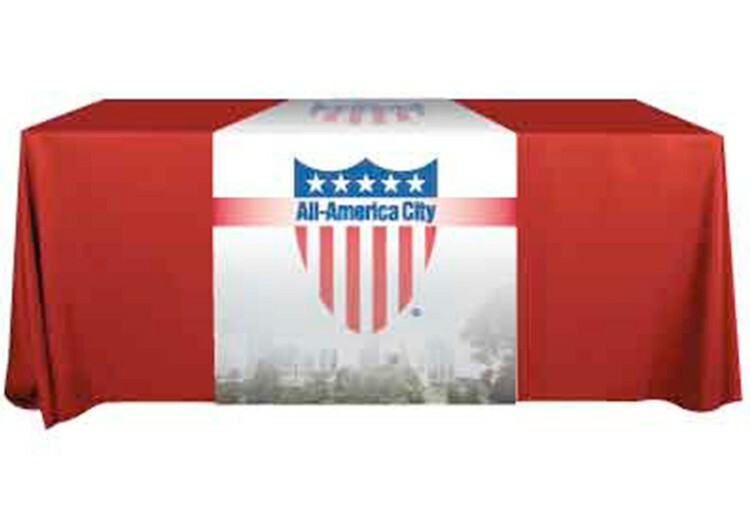 DESCRIPTION 4' Flat, 4 Sided table cover is USA printed and sewn. Water based eco-friendly inks. Logo and color embedded into fabric (NOT a surface transfer). FREE clear plastic zippered storage bag included. 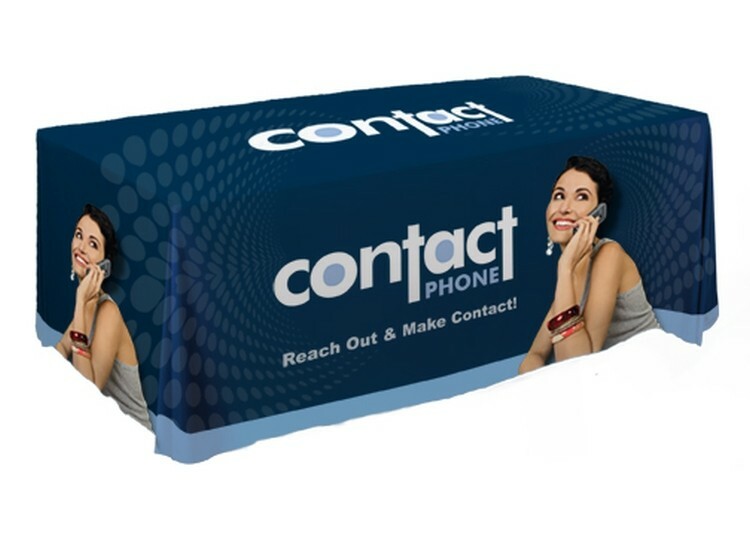 Designed for products: Table Covers, Table Throws, Table Cloths, Table Skirts & Table Banners. 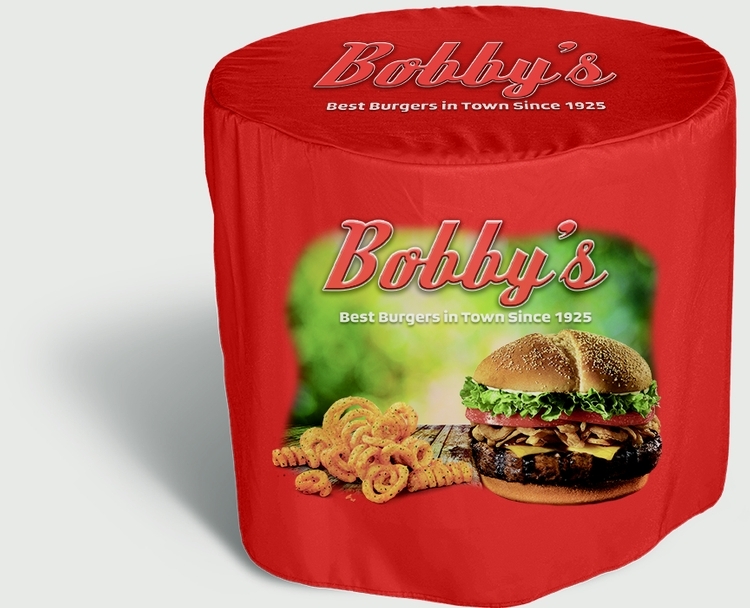 CONSTRUCTION 100% Polyester poplin PRODUCTION 5 Business Days after eproof approval. See item 7504R for 1-6 pcs. 48 hr. 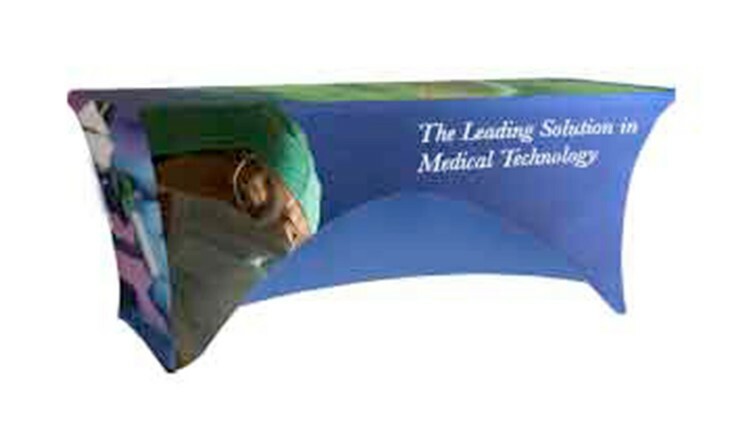 RUSH available after eproof approval. 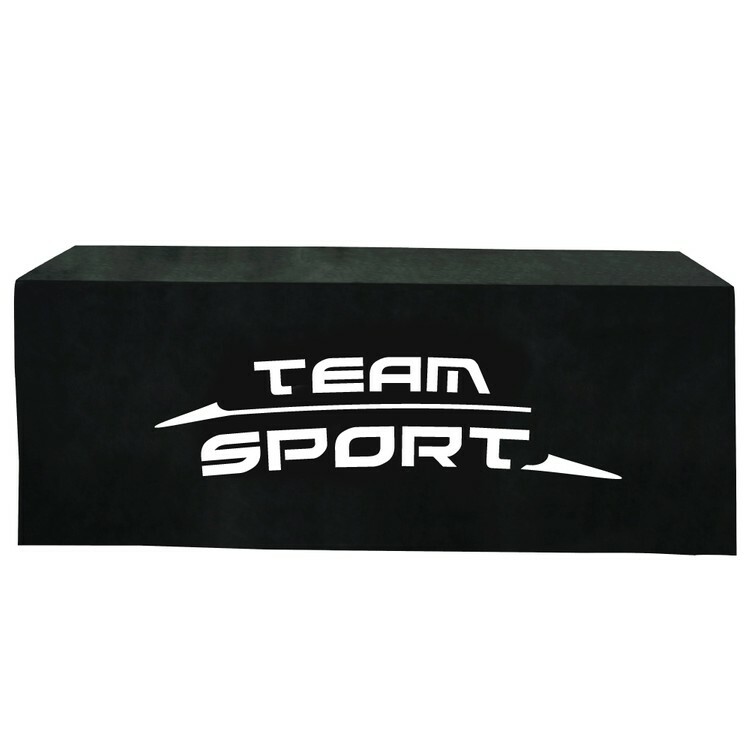 IMPRINT AREA Full bleed panel - 30” x 48” or Standard - 24” x 28” Templates available on websiteIMPRINT METHODDye Sublimation Full color true subsurface print process onto white fabric. STOCK COLORS Red, Royal, Hunter, Burgundy, Navy, Black, White 48 Hour EXPEDITED Available EASY CARE, wash, dry clean, wrinkle resistant.